Check examples of our events! 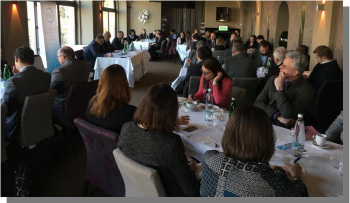 On 11 June 2018, the Institute for Politics and Society held a working breakfast with Minister of Finance of the Czech Republic Alena Schillerová. The debate was also attended by Aleš Michl, external adviser to the Minister of Finance and Jan Klesla, a commentator of Lidové noviny. 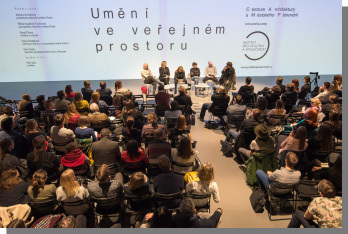 On 28 February 2018, the Institute for Politics and Society held a debate the Art in Public Space. Our invitation to the discussion was accepted by the Mayor of Prague, Adriana Krnáčová, Eliška Kaplický Fuchsová, representative of the City of Prague, David Černý, artist and sculptor, Hana Třeštíková, Councilor for Culture and Neighboring Relations of Prague 7, Petr Dusta, Manager of Skanska’s development team. The debate was moderated by artist Petr Dub. The Institute for Politics and Society has already organized this year successfully, the international conference Digital Czech 2018, with the subtitle borrowed from the famous quotation of Ronald Reagan, who won the presidential election in 1980 “Do you have better than you were four years ago?”. The conference was attended by European Commissioner Věra Jourová, MEP Martina Dlabajová, MEP Dita Charanzová, Adam Vojtěch, Minister of Health of the Czech Republic or Estonian Reform Party Chairman Hanno Pevkur.